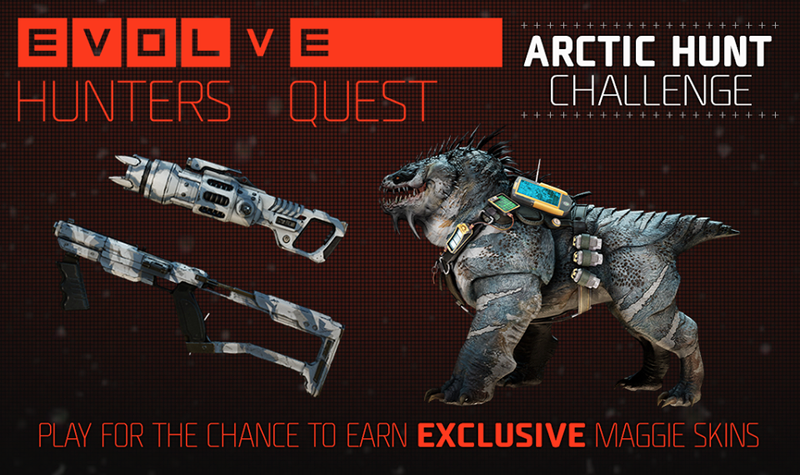 Another challenge event from the Evolve: Hunters' Quest mobile game! This time it's for Maggie and it's the similar Artic skin to Markov's just a week back..
Maggie isn't my favourite Trapper but still something cool to earn.. Rewards are again staggered down the ranking groups with the Top 7500 players earning the Maggie's Artic Skin and the Top 1500 players getting the best rewards. Just 4 days long for this event unlike Markov's week long event. Better in a way, at least the challenges are coming in quick, keeping the flow going. I don't want to be waiting weeks for each challenge. Getting a good start this time round. Had a late scare the last time, so don't want to miss out on the rewards. More players would have been aware of the Mobile Game challenges now, and with the shorter event length, I'm predicting this week to be a bit more competitive so gotta start early this time!